AES offer great quality products at competitive pricing with one of the largest ranges of wireless and GSM intercom systems around the world. Making use of D.E.C.T within their wireless intercoms, which is what almost all portable home phones use allows for a longer range that some other wireless intercoms available on the market. Making use of mobile networks with GSM technology means your gates can give you a call with no range limits! Open your gates from anywhere in the world by dialing into your GSM intercom, get a video feed directly from the camera if you buy a video intercom and see that it's that relative that didn't tell you they were visiting. Beautiful brushed stainless steel intercoms finished with a gloss black, toughened acrylic trim, these intercom systems definitely ooze style, looking sharp and sleek. Not only do they look great, but they weather resistant meaning that using them outdoors is no problem at all, if that is not enough, the mounting plate for the intercoms are moved off the intercom itself, making it look as if it is 'floating' off of the wall or post it may be mounted to, teamed with its night-time blue back lighting they look incredibly modern, almost futuristic. The AES 603-AB Entree Phone is an easy to use handset with a simple answer and end call button. The door release button can also be used whe.. The AES 603-ABK Entree Phone is an easy to use handset with a simple answer and end call button. The door release button can also .. The AES 603-EH Entree Phone is an easy to use handset with a simple answer and end call button. The door release button can also be use.. The 605-EH is an extra headset to add up any 605 video kit. This is the same handset used for 603 kits, and up to 3 additional handsets can .. The GSM-5ABK is an architectural GSM intercom (with built-in keypad) provided by AES. This is the CELLCOM Prime model.Replaces the GSM-4 and.. 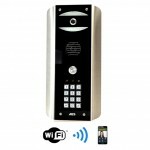 The AES WiFi-ABK intercom provides direct contact with your visitors via WiFi. This version comes with a keypad.The technical featu.. The AES WiFi-AB intercom provides direct contact with your visitors via WiFi.The technical features of this product include:24vdc.. 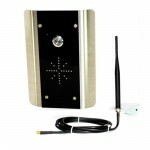 The GSM-5AB is an architectural GSM intercom provided by AES. This is the CELLCOM Prime model.Replaces the GSM-4 and GSM-3 range.CELLCOM.. The GSM-4BK is an intercom provided by AES. 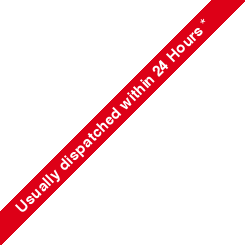 This is the PLUS Architectural model.Technical Features include:24v DC Adaptor i.. The GSM-4AB is an intercom provided by AES. This is the PLUS Architectural model.Technical Features include:24v DC Adaptor includ.. The AES GSM MultiCOM-500 Apartment Intercom is wireless and works for up to 500 apartments.Other features include:Calls up to 3 n.. The AES GSM-3V-ABK is a video intercom that allows direct contact with visitors. This model comes with a keypadThe product's technical f.. The AES GSM-3V-AB is a video intercom that allows direct contact with visitors.The product's technical features are:12-15v DC Ada.. Note: This product has been replaced by the GSM-4ABK, and is no longer availableThe GSM-3AB is an intercom provided by AES.Technical Fea.. The GSM-3AB is an intercom provided by AES.Technical Features include:15v DC Adaptor included 1 GSM PCB Relay 3 Dialling Numb..